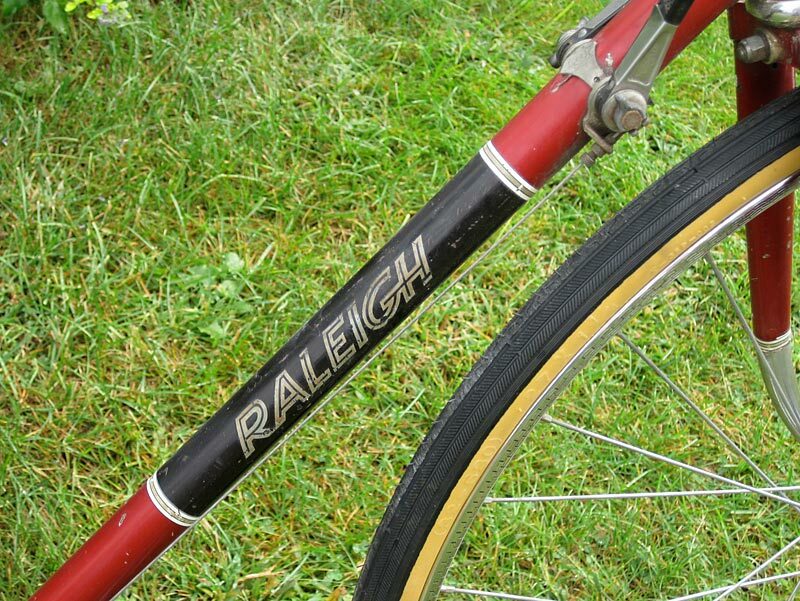 More from this week’s Raleigh Rally, this is Jeff V’s Raleigh Grand Prix. Hi, Jeff V. again. Here’s an EU special. 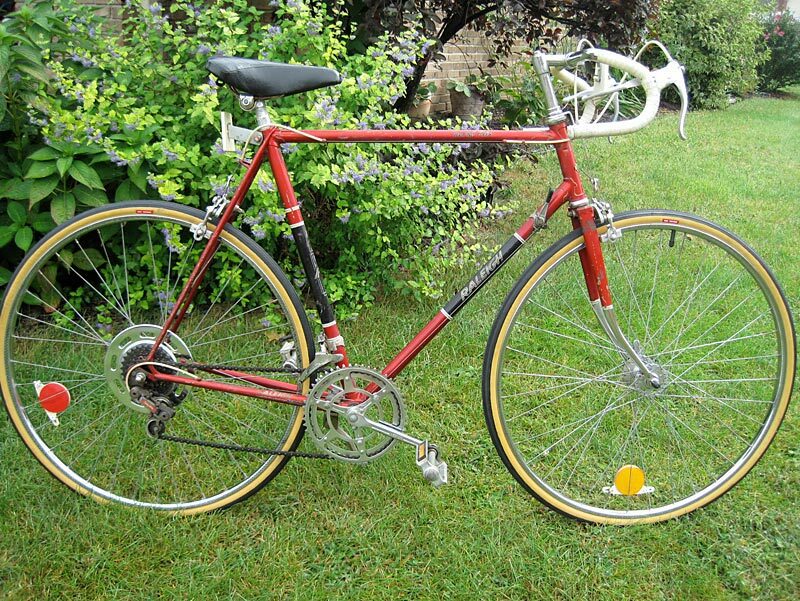 It’s a late ’70s Raleigh Gran Prix with rims from a Peugeot 10 speed. It was a rust bucket when I got it. It has shined up fairly well. 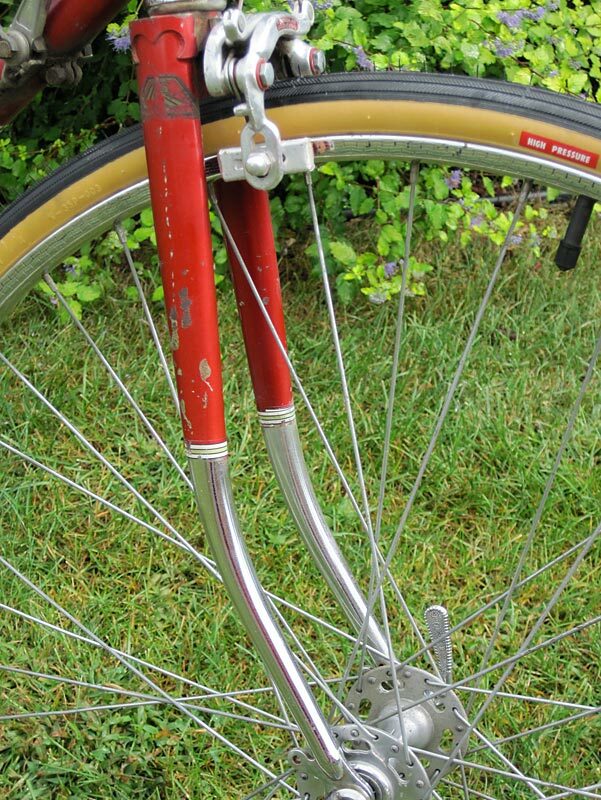 Has center-pull Weinmann’s and downtube shifters. I fear those trapezoidal front and rear reflectors are original! Enjoy! 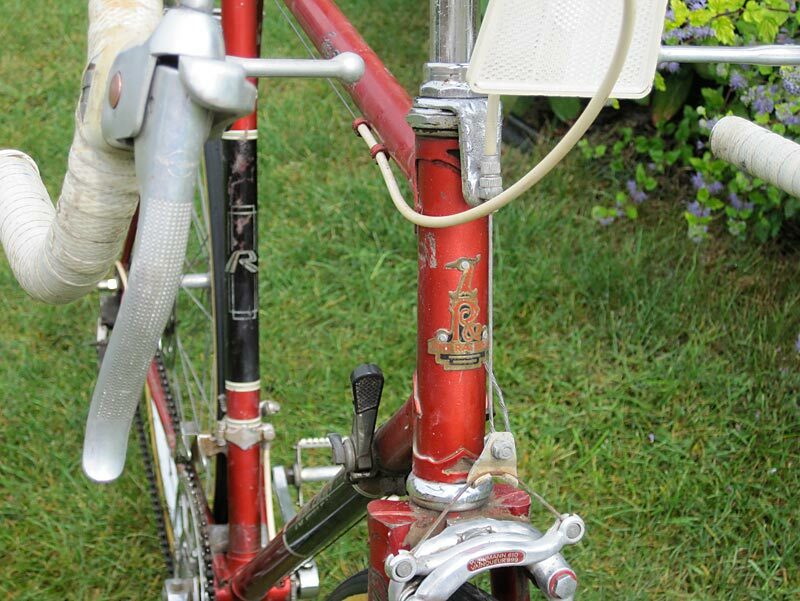 Probably a 1972, judging from the Nervar crankset. 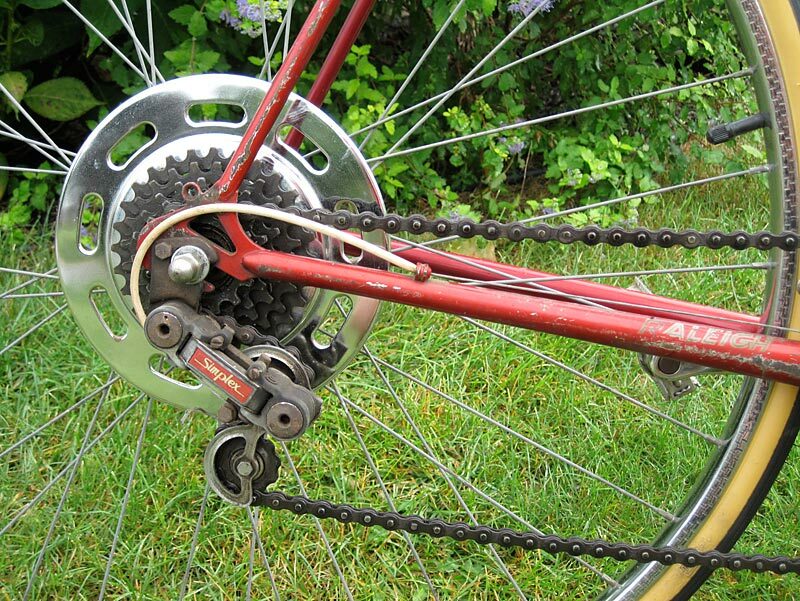 In 1973 they started using no-name cranksets because Nervar could not keep up with demand.